Hawk Mountain is located in central-eastern Pennsylvania near Allentown and is known for a wild bird sanctuary. 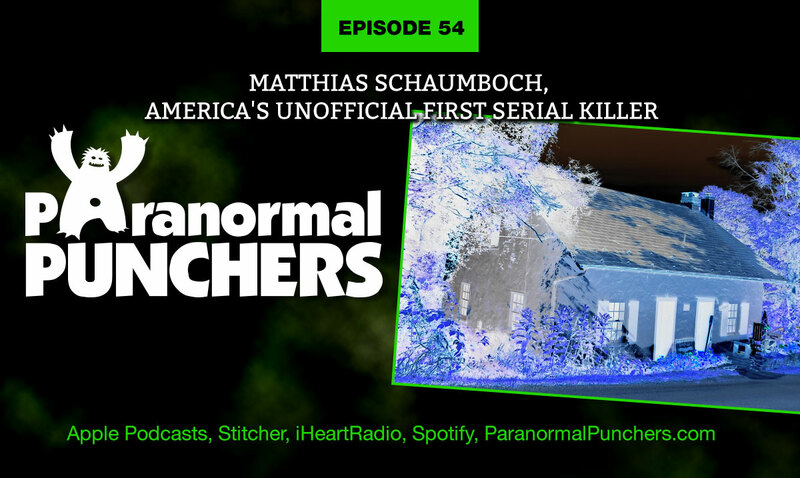 What it is less known for is the story of Matthias Schaumboch, America’s unofficial first serial killer. On his deathbed, he confessed to the murder of 11 people, all weary travelers that would stop at this tavern for the night, but would never check out. He would peddle their belongings after he murdered them, and even reportedly ground them up for sausages for the next guests that arrived. In his deathbed confession, he claimed that an evil spirit on the mountain whispered to him day and night, encouraging him to act on murderous impulses. Many believe that Matthias’ ghost still haunts the area, and people have heard voices and seen phantom lights in the hills. Full body apparitions have even been spotted. A little more disconcerting is the report of a 10 foot tall glowing man seen roaming the woods who instills absolute terror in those that observe him. What haunts Hawk Mountain? Is it the spirit of Matthias Schaumboch looking for his next victim? Or is it something even more sinister? Join us on episode 54 as we delve into this fascinating location!